First class office moves and house removals services in W1, W2, W3, W4, W5, W6, W7, W8, W9, W10, W11, W12, W13, W14 and all UK. Get a free inspection and be sure every aspect of your move has been taken care of! Whatever your requirements are be it moving crate hire, packing, computer network relocation, machinery or warehouse move we can help! Removals and installation of furniture and IT equipment. Excellent packaging of your property and belongings. Professional transportation to the new office place. Aesthetic arrangement of furniture and equipment in your new property. Efficiency, speed and precision in all activities with minimum commitment from you or your time. The main goal of Ealing Movers is to take care of every detail, related to moving of your employees, their belongings, office files and computers. If you choose to use our Office removals Ealing, you will certainly get the work done fast and close to your requirements. The reason for this can be explained with one of the principles of marketing. There is no better advertisement than professional work and honest approach towards the customer. Realistic assessment of the office removal costs can only be performed after a thorough on-site inspection of all the components of your current workplace. This way our moving company will get to know in details how to proceed with packing, loading and transporting your belongings. Therefore the price you will have to pay will be calculated precisely. We offer a free inspection to all companies based in the following postcode areas: W1, W2, W3, W4, W5, W6, W7, W8, W9, W10, W11, W12, W13, W14 despite of the move size. A free survey is also offered to clients outside of the Ealing area but only if they are moving more than 10 employees. The best thing about the inspection is that it does not cost anything at all. Also, you are not obligated to use our removals services in case you are unhappy with the price offered. Another advantage of the inspection is that it helps to prevent problems that might occur, while relocating your office in Ealing. Also, it gives us good information about the complexity and the difficulty of the work that has to be done. Ealing Removals will be able to estimate the resources needed for the moving process – number of people to work on the project, number of vehicles to be sent for transportation of furniture, the distance between the current and the new place, and etc… We can advise on what furniture needs to be disposed of due to the bad condition. Office clearance Ealing is something we can to too. Moreover, the inspection of the current office gives you the chance to meet the people who will take the responsibility of transporting your equipment and office furniture. Quantity and parameters of all the objects that have to be moved. Type, number and quality of the packaging materials you have chosen, such as boxes, stretch film and etc. Special packaging of machinery, equipment, computers, faxes, monitors and other technology. De-installation, re-installation, packing and unpacking of your office equipment, including desks, sections, partitions and shelves. Presence or absence of elevator and also the number of the floor where the current and the new offices are situated in the buildings. Based on the characteristics of your office space in Ealing, individual price list will be made, including all the services selected by you. Contact our Ealing removal company W5 and ask for everything you need to know regarding the process of moving. Arrange a free inspection in time that suites you best. The move manger will make a specific offer, based on the characteristics of your move. Once an agreement has been achieved, comprehensive plan will be made, the date and time of moving will be chosen and people related to the project will be informed. This is the last part of the process. Your chosen removal company will act according to the contract. All the packaging materials will be supplied, packing will be done. 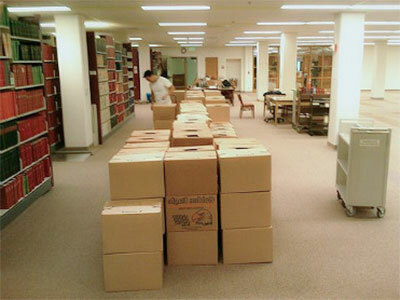 Movers and packers will take care of the de-installation, removals and installation of the equipment. Removal men will arrange the furniture, clean the area and take away all the materials that are not needed. In case you want to change a clause from the contract or any of the services chosen, an agreement should be achieved from both parties. What fallows a successful office move, machinery removals, factory or warehouse relocation is the payment! In case there were no problems during the removals, the customer has to proceed with paying the costs. The payment deadline is always agreed prior to the move. For this purpose, when the relocation is over and the work is done, a protocol should be signed in which the customer confirms that everything is done according to the previous agreement and the price stated is correct. The method of payment has to be mentioned in the contract, signed both from the customer and the removal firm. The money has to be paid and in exchange the customer gets invoice or receipt. It’s in your interest to remember that each mover has to work towards your satisfaction, peacefulness and it has to protect your property in every step of the moving. We offer quality removals W1. Each server relocation in W2 is carried out with care. Find out your W3 removals costs today. We can provide machinery removals in W4 or the entire factory relocation or clearance in W5. We offer long distance moves from W6 to anywhere it the UK. Ealing Removals provide small man and van from and to W7. We can pack and move all your office furniture W8. It equipment and servers moves can be carried out in W9. Each commercial relocation W10 must be planned in every detail. Please let us know if you require to move your office files in W11. We can also provide confidential document shredding W12. Our W13 office move managers can plan your transition from start to finish. W14 Removals is here 24/7 to help you with your disaster recovery relocation. Office removals Ealing. Cheap office move quote Northfields W. Small business relocating companies Olympia W. Local commercial removals Park Lane W. Professional corporate movers All Saints W1. Long distance relocation manager Bond Street W1. Specialised project move manager Fitzrovia W1. National office removals costs Great Portland Street W1. Cross country server removals Oxford Circus W1. Full service computer relocation Oxford Street W1. Top machinery moving companies Piccadilly Circus W1. Cool office removal companies Westminster W1. Smooth warehouse movers Fitzrovia W1. Affordable server relocation Mayfair W1. Executive office relocation Soho W1. Licensed commercial moving firms Chinatown W1. Express business relocation services Kensal Green W10. Cheap move management Ladbroke Grove W10. Local moving business Westway W10. Professional IT relocation cost Kensal Rise W10. Long distance office moving companies Kensal W10. Friendly commercial relocation North Kensington W10. Office removals Holland Park W11. Specialised industrial relocation Notting Hill Gate W11. National corporate relocation services Notting Hill W11. UK moving offices quote East Acton W12. Best warehouse relocation Goldhawk Road W12. Top commercial movers White City W12. Cool business removals prices Shepherds Bush W12. Affordable corporate relocation Drayton Green W13. Licensed IT movers Ealing Broadway W13. Express factory removals firm West Ealing W13. Cheap office moving firms Barons Court W14. Small business movers West Kensington W14. Local warehouse removals Regent Street W1B. Long distance office movers Chinatown W1D. Friendly warehouse moving services Fenton Ho. W1F. Specialised office relocation services Marble Arch W1H. UK safe moving services Marylebone W1H. Office removals City of Westminster W1K2. Cheap office move quote Goodge Street W1T. Small business relocating companies Warren Street W1T. Local commercial removals Bayswater W2. Professional corporate movers Bayswater Road W2. Long distance relocation manager Beckton W2. Specialised project move manager Edgware Road W2. National office removals costs Hyde Park W2. Cross country server removals Lancaster Gate W2. Full service computer relocation Queensway W2. Top machinery moving companies Paddington W2. Cool office removal companies Acton W3. Smooth warehouse movers Acton Town W3. Affordable server relocation Old Oak Common W3. Executive office relocation South Acton W3. Licensed commercial moving firms West Acton W3. Express business relocation services Western Avenue W3. Cheap move management Capel Manor W3. Local moving business Acton W3. Professional IT relocation cost Acton Green W4. Long distance office moving companies Chiswick High Road W4. Friendly commercial relocation Chiswick House W4. Office removals Chiswick Park W4. Specialised industrial relocation Gunnersbury W4. National corporate relocation services Turnham Green W4. UK moving offices quote Chiswick W4. Best warehouse relocation Ealing Common W5. Top commercial movers Grange Park W5. Cool business removals prices Hanger Lane W5. Affordable corporate relocation North Ealing W5. Licensed IT movers South Ealing W5. Express factory removals firm Ealing W5. Cheap office moving firms Brook Green W6. Small business movers Castlenau W6. Local warehouse removals Ravenscourt Park W6. Long distance office movers Stamford Brook W6. Friendly warehouse moving services Hammersmith W6. 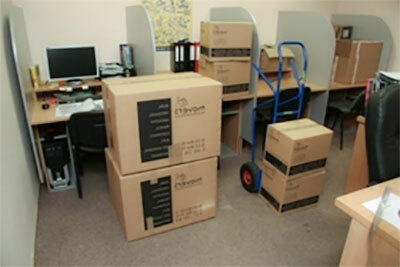 Specialised office relocation services Elthorne Park W7. UK safe removals Hanwell W7. Office removals High Street Kensington W8. Cheap office move quote Kensington W8. Small business relocating companies Maida Hill W9. Local commercial removals Warwick Avenue W9. Professional corporate movers Maida Vale W9. Get cheap removals and storage in Ealing.